Our Vision of being globally recognised clearly defines Alaris Antennas’ expertise and strategic direction, our Mission statement supports our Vision and drives excellence throughout our business. Alaris Antenna’s mission is to deliver high quality antenna solutions on time through technical and service excellence. View our latest products by clicking on a category below. Extensive range of HF, VHF, UHF and SHF (L-, S- and C-band) omni-directional and directional communications antennas…. Radio-Controlled Improvised Explosive Devices (RCIEDs) are a new threat to anyone travelling in an unsecured area…. 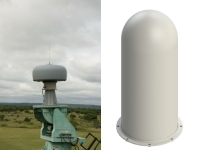 Alaris Antennas designs and manufactures Direction Finding antennas of all sizes, for all applications…. Alaris Antennas designs and manufactures a range of electronics products, passive and active, to complement our product range…. Log-Periodic Dipole Arrays are wideband antennas providing directional gain and are typically used for wideband monitoring…. Alaris Antennas manufactures a range of telescopic and sectional masts, for use in applications…. Alaris Antennas offers a range of antennas for antenna testing, high-power transmit applications and stand-off jamming…. Monitoring Antennas for spectrum monitoring, ITU applications or signal detection require wideband performance….